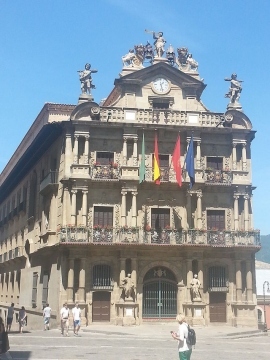 The name Navarre might not say much to you, but what about Pamplona? That surely rings a bell, after all, the city of Pamplona makes it into the news every year because of its famous bull runs. You either find them entertaining or you find them horrible (because you feel bad for the bulls), but no matter what your attitude towards the bull runs are: they are a vital part of Pamplona's culture and will most likely not disappear any time soon. Estella might not be as well known as Pamplona, but it's one of the best places to visit while you are in Navarre. 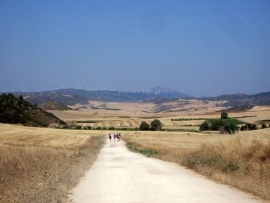 It is not on any of today's main traffic routes, but it was used as a point of the pilgrimage to Santiago de Compostela (the way of St. James), and also used to be an occasional residence of the kings of Navarre. The city was always described as a friendly city (even as far back as the 12th century). A popular sight in Estella is San Pedro de la Rua, which is a church from the 12th century. The tower of the church is one of the main landmarks that you can see from various spots in the town. The town hall and the plaza de San Martin are also great places to visit, and then you can follow the Calle de La Rua (to the East) which leads you past some impressive houses and mansions. After a while, you will also see the Church of Sepulcro, a Gothic church from the 12th century. Pamplona's Fiesta de San Fermin (annual event that goes from July 6th to July 14th) is the controversial festival during which the bulls are chased through the streets of Pamplona every single morning. During the Fiesta de San Fermin, there are also daily bull fights. 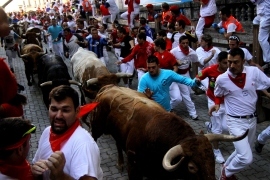 The running of the bulls can often turn into a rather dangerous event, so it is not advised for tourists to take part in it as there is a high risk of injury. And Pamplona also has plenty of other activities for you that don't have a high chance of giving you broken bones. 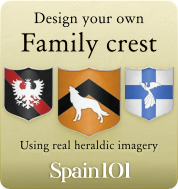 The old town of Pamplona is still partially surrounded by the old city walls, and home to the Plaza de Castilla, a very spacious, typical Spanish plaza with a splendid palace (which is home to a portrait of Ferdinand VII which was painted by Goya). The San Ignacio church (from 1694, so it's fairly “modern”) was – according to legends – built right on the sport where the founder of the Jesuits (which he wasn't yet at that stage) Ignacio de Loyola was wounded when he worked as a Castilian army captain. Pamplona is also home to some lovely parks like the Ciudela park and the Parque Taconera. One sight nobody ever misses when going to Pamplona is the cathedral from the 14th century. 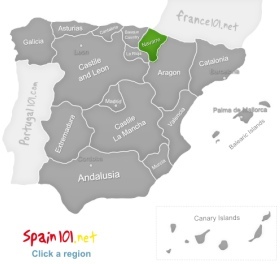 Tudela is the second biggest city in Navarre, and was founded in 802. The city was quite special because for many hundreds of years people from different religions were able to live in it peacefully, and the different churches and monuments are a proof for that. You can stroll through the city, and see which part might have been influenced by which culture if you have an eye for different architectural styles. A quite interesting and special place to visit is the Witches' museum in Zugarramurdi. In the Middle Ages around 30 women from the village of Zugarramurdi were killed, and the reason for that was none other than the Christian inquisition which believed them to be witches. There was a lot of envy going on between some families, and of course when they saw a way to hurt the other families, they took it: a false accusation here and there, and soon one or the other woman was suspected to be a witch – and if you know anything about how the inquisition worked during the Middle Ages, then you know that it was virtually impossible to escape their clutches once they were convinced that you were a witch. 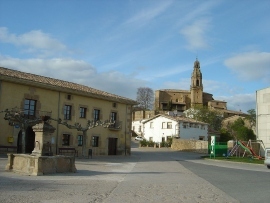 The museum in Zugarramurdi tells the story of the witches of their village, and there is also a famous cave nearby where the community lights fires to remember the day of the witches.